As you begin to add sports practices and games to your calendar (especially for multiple children), it might by seem like a good time for a panic attack. Push panic aside and consider incorporating a carpool or two to lighten your scheduling load. Here are 20 tips and tricks for establishing a winning record in carpool organization. 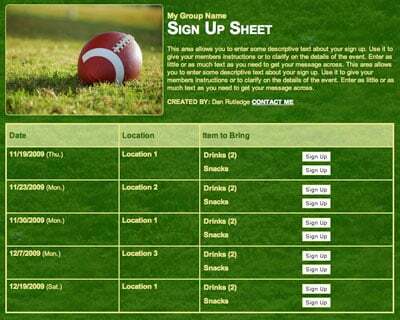 Recruit Members - Get a roster with addresses from the coach to see if there are players in and around your neighborhood or from the same school. 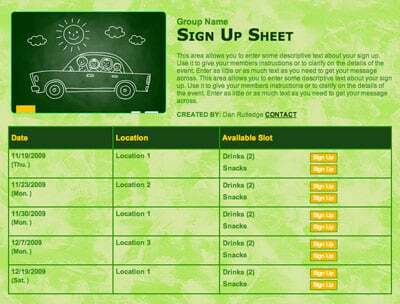 Do some homework to plan the quickest routes if you will be carpooling outside your neighborhood. Set a Schedule - Decide if it is easier to carpool for only practice or games or both. Many parents make games a priority for attendance, so practice carpools might be most beneficial. If out-of-town tournaments tend to dominate your weekends, consider adding those to your carpool as well. Make Adjustments - Find a workable mix of carpooling and self-driving. For example, if you have an after-school practice, you might want to have one parent pick up several kids at the same school, but it might not be feasible to drive them all home. Consider this as you do your carpool organizing and inviting. Create a "What If" Protocol - What if your child is ill but you are scheduled to drive? What if a driver or passenger is chronically late or missing? What if a child (or several children) consistently complains that a parent is driving in an unsafe manner? Print or email to those considering involvement in the carpool well in advance of signing up to participate. Establish a Communication System - This is especially important if the weather causes a cancellation or if there is an emergency situation for someone in the group. Have a back-up contact for each person in the carpool. Genius Tip: Use SignUpGenius Calendar Sync to see who’s scheduled for each carpool pick up/drop off using your personal digital calendar. Exchange Medical Releases - These can usually be obtained at your physician's office in case there is a need for emergency treatment. This is especially important for away games or out-of-town tournaments. Let Drivers Opt Out - Think about adding a “sunset clause” for sports teams that require a yearlong commitment. That gives drivers and passengers a chance to opt out of the carpool with ample time to reorganize. Consider a sunset around a natural end/beginning date, such as the week before a school break or a long weekend. Establish a carpool schedule for travel sports teams! SAMPLE. Put Safety First - It may seem like this is common sense, but a "safe driver" policy is essential. For example, clarify expectations on things such as smoking, cell phone use, seat belt usage, food and drink and using alternative drivers (like sending a teen driver to do the carpool). Prepare for a Mess - Never be without a few disposable grocery bags stashed away in the glove box. You can never have too many of these for muddy shoes, wet clothing or snack trash. Plan for Replacements - Consider placing a spot for "Sub Driver" on your carpool sign up (especially for away games or tournaments) so that there can be an alternative driver if someone has an emergency. Address Participation - Have a family who suddenly doesn't seem willing or able to drive very often? First, consider their particular circumstances (recent illness, moving, death in the family) and then communicate openly if you need to clarify their role in the carpool. Ward Off Hunger - For after-school carpools, opt for a driver-provided snack because there is always that one kid who forgets. Agree on a list of suitable car-friendly (um, crunchy granola bars = no), budget-friendly suggestions. Or if one parent is doing most of the after-school driving, collect a snack fund from participating families. Genius Tip: Use SignUpGenius Payments directly on your sign up to collect snack money digitally. Don’t Forget - Use some kind of reminder system for the schedule established. This is vital for families with multiple children with multiple sports. SignUpGenius has helpful email and text reminders that give drivers a timely reminder of their upcoming commitment. Schedule sports physicals with an online sign up! SAMPLE. Expect Good Behavior - Ask kids to be responsible and respectful of the driver. They are to treat each driver as they would anyone in authority over them. Prepare Passengers - The passengers' parents need to make sure their child knows the four Ws: what to bring to the practice or game, where to be picked up, what time and who will be driving. Save Time - Plan ahead by having gear in a central (and consistent) location. Uniforms should be ready to go, snacks and drinks organized and kids should be ready to go out the door when the driver arrives. If you are picking up after school, the carpool line might become an issue unless everyone can get there right after school, so plan accordingly (or be ready to tweak the plan!). Establish Car Etiquette – Carpool rules should be clear. For example: music (or no music) is at the driver's discretion or bring headphones, no screaming, no muddy shoes or wet clothes (bring a change of shoes/clothes if that will be an issue), pick up all your belongings and trash. Give Warnings - Passengers, beware of the red card! Tell passengers they will be given a warning (yellow card, if you want to go that route) once for disruptive or disrespectful behavior. After that (and after much consideration and discussion among participants), passengers run the risk of the being asked to find an alternative ride to practice and/or games. Accept Responsibility - Communicate that the passenger (not the carpool driver) is responsible for their gear, both to take it and bring it home. Also, passengers should put gear where the driver tells them, even if it's in their lap, because the driver is the boss. Share the Load - If you are carpooling for an out-of-town tournament, remember to honor the driver by also chipping in for gas and making sure everyone has snacks/meals with them for the day so the driver doesn't end up covering unexpected expenses. A successful carpool means a continual give and take, and sometimes that means being flexible and forgiving. But once established, having a sports carpool in place eases the time crunch for busy families and allows time for some team bonding among the kids. Go team! Organize game day snacks with an online sign up.